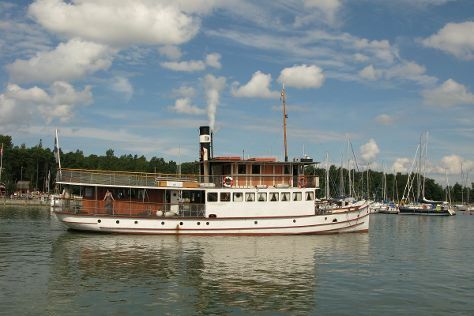 Eschew the tourist crowds and head to Ekenas Archipelago National Park and Seurasaari Island and Open-Air Museum. Step out of Helsinki to go to Vantaa and see Sipoonkorven Kansallispuisto, which is approximately 30 minutes away. There's still lots to do: test your team's savvy at popular escape rooms, explore the world behind art at Kansallisgalleria, and browse the eclectic array of goods at Hakaniemi Market. To see where to stay, traveler tips, photos, and other tourist information, refer to the Helsinki trip itinerary planning app . If you are flying in from Canada, the closest major airport is Helsinki Vantaa Airport. In March in Helsinki, expect temperatures between 3°C during the day and -5°C at night. Cap off your sightseeing on the 30th (Sat) early enough to go by car to Turku. Start off your visit on the 31st (Sun): test your problem-solving skills at popular escape rooms, trek along The Archipelago Trail, and then take in nature's colorful creations at Kultaranta Garden. Get ready for a full day of sightseeing on the next day: have fun at Adventure Park, then stroll through Kupittaa Park, and then take in the spiritual surroundings of St Henry's Ecumenical Art Chappel. For traveler tips, other places to visit, maps, and other tourist information, you can read our Turku trip builder app . You can drive from Helsinki to Turku in 2 hours. Other options are to take a train; or fly. In March, daytime highs in Turku are 3°C, while nighttime lows are -5°C. Wrap up your sightseeing on the 1st (Mon) to allow time to drive to Pori. Pori is a city and municipality on the west coast of Finland. To see photos, more things to do, maps, and more tourist information, read Pori travel itinerary planner. You can drive from Turku to Pori in 2 hours. Alternatively, you can take a bus. Expect a daytime high around 8°C in April, and nighttime lows around -1°C. Wrap up your sightseeing by early afternoon on the 3rd (Wed) to allow time for travel to Oulu. Oulu is a city and municipality of inhabitants in the region of Northern Ostrobothnia, Finland. Explore hidden gems such as Hupisaaret Park and Oulu Climbing Centre. There's lots more to do: stroll through Ainolan Puisto, examine the collection at Pohjois-Pohjanmaan museo, admire the natural beauty at Botanical Garden, University of Oulu, and explore the world behind art at Oulun Taidemuseo. To see reviews, where to stay, traveler tips, and more tourist information, use the Oulu online trip itinerary maker . Traveling by flight from Pori to Oulu takes 5.5 hours. Alternatively, you can drive; or do a combination of train and flight. Expect a daytime high around 5°C in April, and nighttime lows around -3°C. Finish your sightseeing early on the 6th (Sat) to allow enough time to travel to Tampere. Kick off your visit on the 7th (Sun): pause for some serene contemplation at Finlayson Church, then relax and rejuvenate at some of the top local wellness centers, and then stroll through Rauhaniemi Beach. Here are some ideas for day two: see the interesting displays at The Finnish Labour Museum Werstas, then examine the collection at Tampere City Library, Metso, and then step off the mainland to explore Viikinsaari Island. To find ratings, maps, reviews, and tourist information, read our Tampere trip planner . Getting from Oulu to Tampere by combination of flight and train takes about 4.5 hours. Other options: take a train; or drive. In April, plan for daily highs up to 8°C, and evening lows to -1°C. Finish your sightseeing early on the 9th (Tue) so you can drive to Lahti. Lahti is a city and municipality in Finland.Lahti is the capital of the Päijänne Tavastia region. Start off your visit on the 9th (Tue): identify plant and animal life at Riverside Park and then look for all kinds of wild species at Arboretum Mustila. On the next day, stroll through Mielakka Ski Center. For where to stay, reviews, and tourist information, you can read our Lahti trip itinerary planner . You can drive from Tampere to Lahti in 2 hours. Alternatively, you can take a bus; or take a train. In April, daytime highs in Lahti are 8°C, while nighttime lows are -1°C. On the 11th (Thu), wrap the sightseeing up by early afternoon so you can take a train back home.